Lockheed Martin successfully launches Vector Hawk, a small, unmanned aerial vehicle (UAV), on command from the Marlin MK2 autonomous underwater vehicle (AUV) during a cross-domain command and control event hosted by the U.S. Navy. This effort marks a milestone in showing that an unmanned aircraft, surface vessel and undersea vehicle can communicate and complete a mission cooperatively and completely autonomously. The question of how to launch drones over the ocean has been a lingering technical problem as the U.S. military has scaled up its interest in unmanned system. But Lockheed Martin just launched a small aerial drone out over the ocean through another drone, showing the possibilities of cross-domain drone launches. 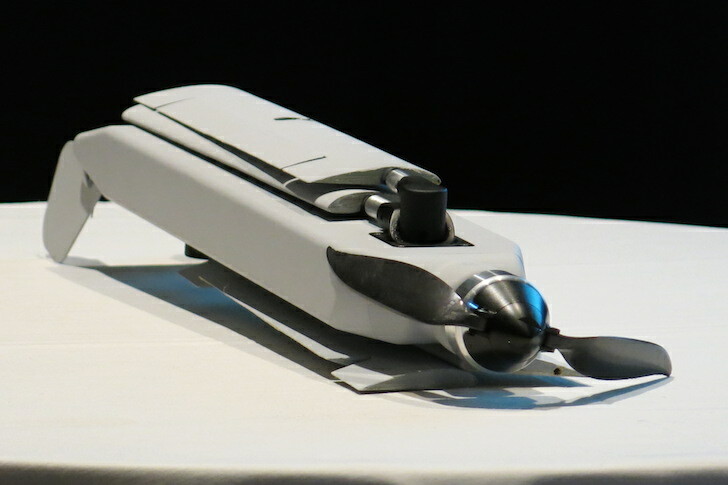 The Marlin MK2 autonomous underwater vehicle, shown here at an event sponsored by the U.S. Navy, was able to launch a Vector Hawk, a small aerial drone, from the surface of the Narragansett Bay in Rhode Island. "This signifies the versatility of Lockheed Martin's unmanned systems to communicate seamlessly across domains to conduct a diverse set of missions in all environments. The capability is quickly reconfigured in the field," says Kevin Schlosser, chief architect of unmanned systems at Lockheed, in a press release. "In a short time, we enabled these systems to work together by rapidly changing sensor packages." 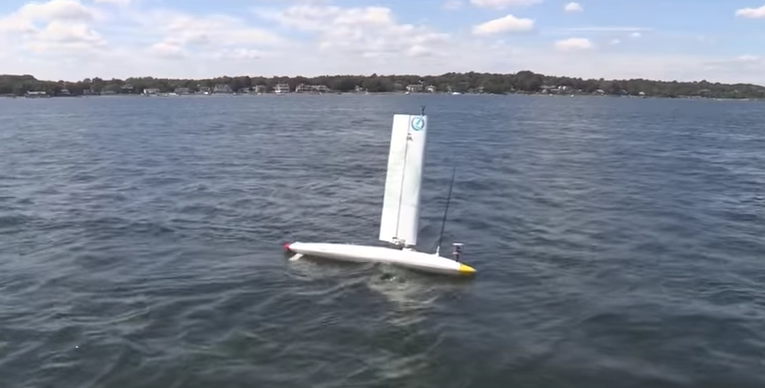 In addition to Marlin and Vector Hawk, the Submaran, an unmanned surface vehicle (USV) developed by Ocean Aero, provided surface reconnaissance and surveillance. A Vector Hawk can fly for more than 70 minutes, Lockheed says, and operators only need a few minutes to recover and re-launch one, including time taken to change batteries. The government has been trying out multiple approaches to its problem of launching drones from the middle of the ocean, including a robotic arm that would catch them. What does Trump's Paris climate decision mean?